Betty Lou (Desin) Bish, age 88, passed away on September 15, 2017 at Corry Memorial Hospital. She was born in North East, PA on April 15, 1929 and was a lifelong resident of Harborcreek. Betty Lou enjoyed music, and loved her pets Marley and Gypsy. She was devoted to her family and was always there for her family and friends. 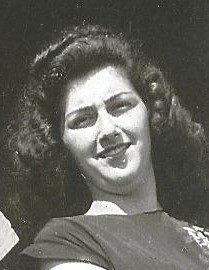 She is survived by her children, Walter Paul (Jeanette) of North East, Edward, Linda, and Judy (Baginski) of Millcreek, Mark and Randy (Cari Rogers) of Wattsburg, and Melissa Corey (Rick Lombardo) all of Erie; her brothers, Edward and David Desin; her sisters, Joanne Greider, Jackie Forbes; her sister in law, Alberta Hookey; 6 grandchildren, 9 great grandchildren, and 11 great great grandchildren. She is also survived by several nieces and nephews and great nieces and nephews. Betty was preceded in death by her husband, Walter Van Bish in 1996, her sister, Gertrude Lois 'Tootie' Martin in 1988, her great great grandson, C.J. Jeter in 2016, and her grandson, Scott Baginski in 2006. A Memorial Services for Betty Lou will be held on Wednesday, September 20, 2017, at 1:00 PM at Walnut Creek Baptist Church, 6015 West Ridge Road. Kenny Devine will be officiating. The family requests memorial donations be made to Hospice of Metropolitan Erie, Inc., 202 East 10th Street, Erie, PA 16503, or the Anna Shelter, 1555 East 10th Street, Erie, PA 16511. Askins Cremation Funeral Services, 8354 Wattsburg Rd., Erie, PA 16509, is assisting the family with arrangements.